Launched in late 2011, the Kindle X-Ray feature is a nifty source of extraneous about the ebook you're reading (and later, the video you're watching). However, it's only officially available with ebooks in the Kindle Store (and four years later and it's still a feature which no other major ebook platform can match) but I've just come across a way for you to make your own. 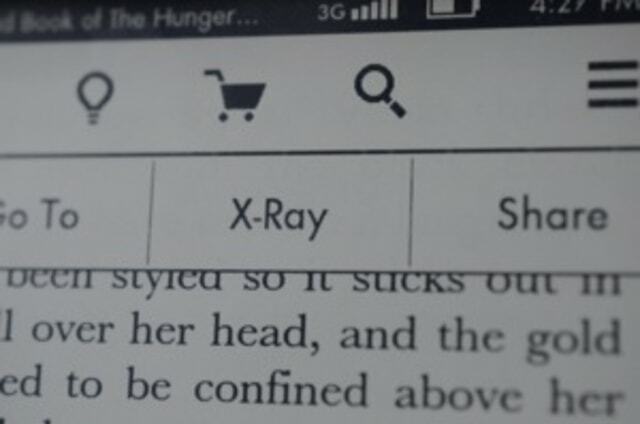 X-Ray Builder is a handy tool which will lets you take the content from a book listing on Shelfari and build it into an X-Ray file which can be loaded on to your Kindle. It only currently works with Shelfari (Wikipedia support is planned) but it can make an X-Ray file for older Kindles as well as the newer file type required on Kindles running the 5.6+ firmware. Have you tried it? If not, you can find it over at MobileRead. I haven't tried this one myself but I have tried a similar tool released several years ago. I could never get it to work. Bit late, but thanks for posting about my program! Hopefully it inspired some folks to give it a try.